You know how much I love Nubian Heritage, so I’m really pumped about this post! Not only did I get to try their new collection, but one of you gets to win it as part of the giveaway! 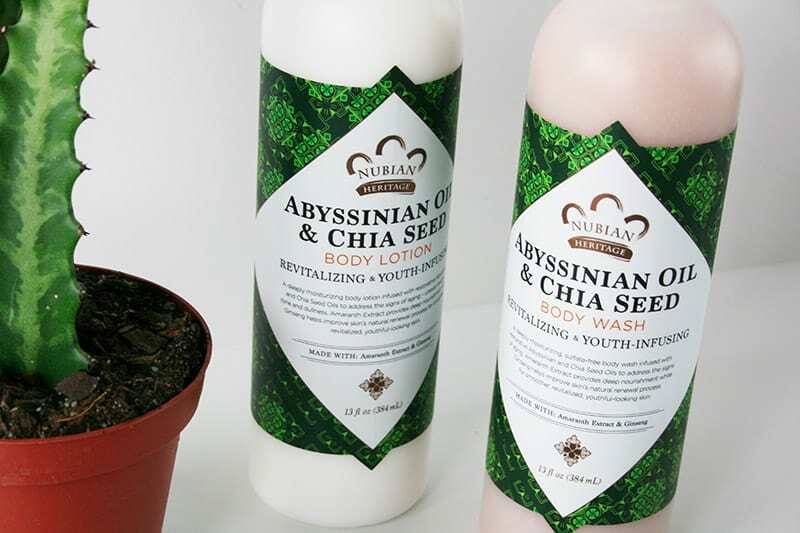 The new Abyssinian Oil & Chia Seed collection is exclusively available at Ulta. My take on this collection? If you’re looking for products that are seriously moisturizing and smell AMAZING without being loaded with chemicals, look no further. 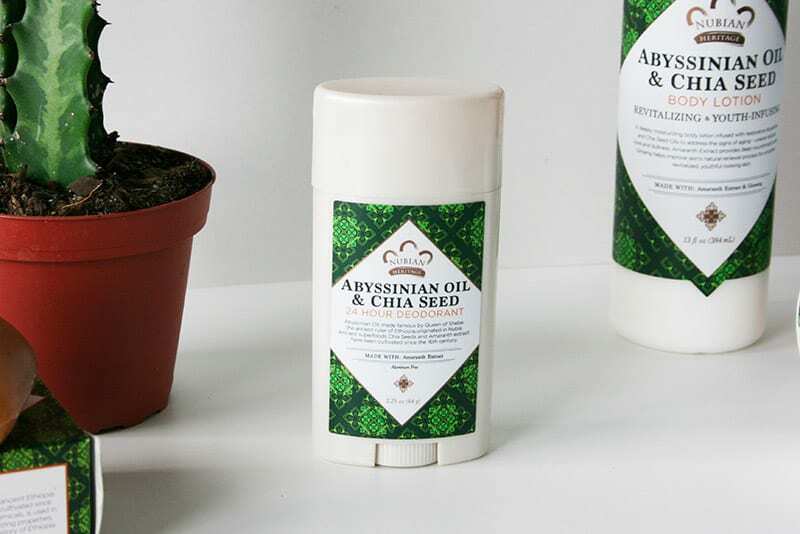 Abyssinian Oil, a cosmetic ingredient of ancient Nubia, was made famous by the former ruler of Ethiopia, the Queen of Sheba. The plant-derived oil provides excellent moisturization due to its high fatty acid content. Chia Seeds and Organic Amaranth Extract, ancient superfoods, were both cultivated as early as the 16th century. Together these ancient grains synergistically provide deep nourishment and protection with antioxidants and natural proteins. Ginseng, used in Traditional Chinese Medicine, is rich in vitamins, minerals and phytochemicals to promote collagen production. You can purchase this collection exclusively from Ulta. 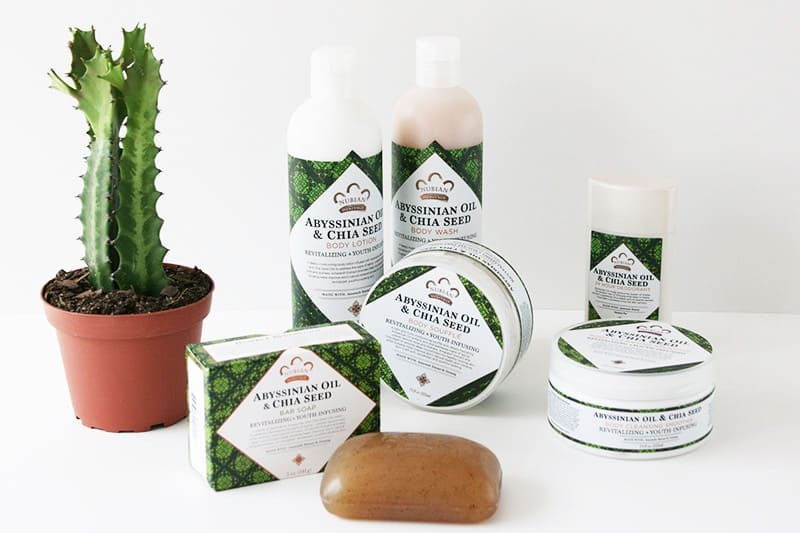 Nubian Heritage is a great cruelty-free brand, so definitely check it out! 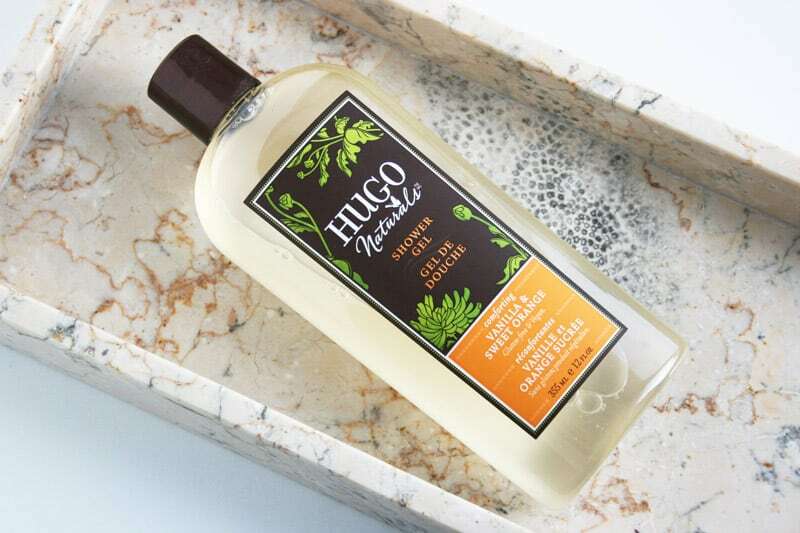 If you only want to try 1 product from this collection, I recommend the Body Lotion ($11.99). It’s perfect. To enter the giveaway, you have to be a subscriber to my cruelty-free mailing list. Sign up below the post if you’re not already subscribed! Next, comment below and tell me if you’ve tried anything from Nubian Heritage before! To increase your chances 10x, follow me on Twitter and tweet about the giveaway. The giveaway will end in 7 days! Good luck! I love their raw shea butter with frankincense and their african black bar soap. The shea butter is so moisturizing and the soap is a really strong cleanser and works well with oily and acne prone complexions. It’s also gentle enough that it doesn’t irritate my sister’s seriously sensitive skin. Can’t wait to try out their new collection! I have tried the black soap and really enjoyed it! I haven’t tried any of their products ? I have never tried Nubian Heritage but I would love to. I haven’t tried this brand yet, but I love exploring different skincare lines. This one looks amazing! Hi! I’ve never tried any of these products before but they sound absolutely amazing! I just began my transition to cruelty-free products in January. I’ve really looked to your website for guidance and appreciate all your work and your dedication. Unfortunately I don’t have a twitter, so I can’t follow-up on that part of the giveaway, but I hope my comment gives me a decent chance! Thank you, Suzi!!! I haven’t tried anything from the brand, but I’m always looking for wonderful cruelty-free skin care to calm my dry skin! I’d love to try this line out. This brand looks fantastic! I love natural, cruelty-free products. 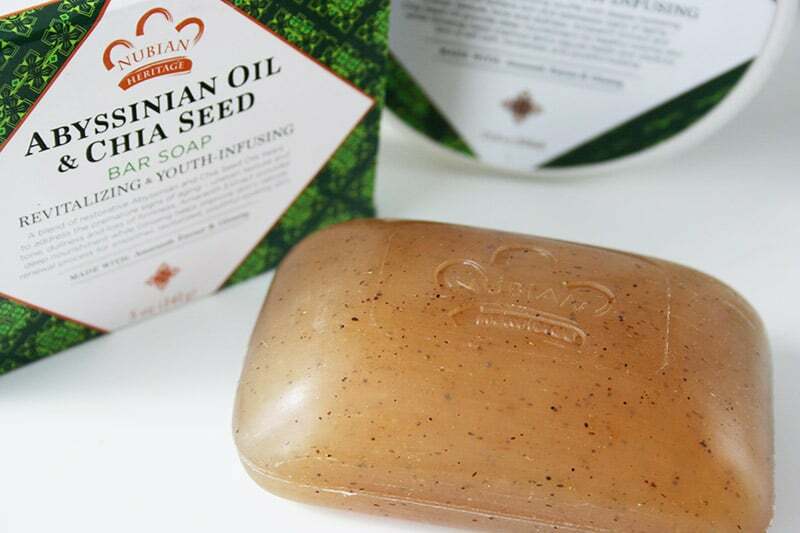 Nubian Heritage African Black Soap is ah-MAY-zing! I’ve never tried anything from Nubian Heritage before, but I’ve heard great things about their products! I’ve never tried anything from Nubian Heritage before. I would love to try out the brand!! I haven’t tried their products before. I just started transitioning into veganism in March and I’ve been completely plant based food wise since then but I am working on replacing all of my beauty and health products. This would help me get started. I’ve never tried Nubian Heritage before but I’ve been following the brand since I’m a big fan of organic, cruelty free products. 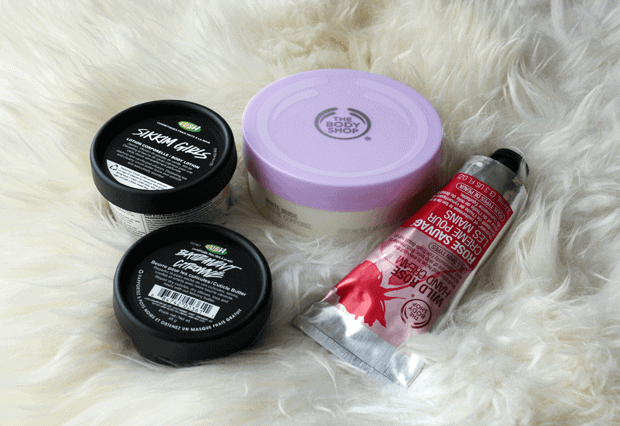 I’m trying to become completely cruelty free and this giveaway is the best oportunity to try a new organic brand! No I have not tried those products yet, but I would love to! Haven’t used any from them but are super excited to do! Have recently started cleaning my house from all old, non-cruelty free products and are looking comstantly for new products to try! I have personally never tried anything from Nubian Heritage, the product list and information make me feel very excited to give them a try! I’ve never tried anything from this line! I havet tried any BUT i always see them at my local Whole Foods and have been eyeing them for awhile. Love to finally be able to try it out!! I’ve never tried any products from Nubian Heritage before, but I’ve heard of them and they sound great! I have tried Nubian Heritage’s Mango Butter. It was okay but the climate I lived in didn’t lend itself to easy application. 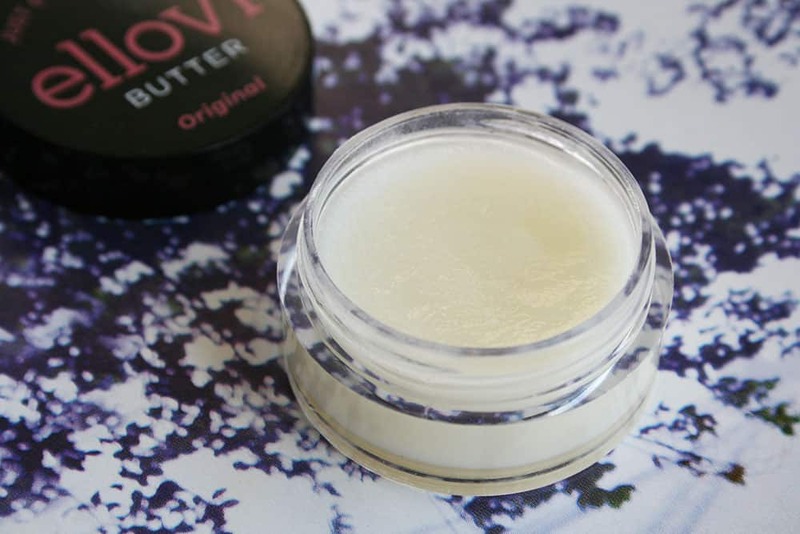 I’ve tried the mango infused shea butter and absolutely loved it! So happy there are companies producing great organic products, and most importantly cruelty free! This is a new one to me – may have to give the body wash a shot. I have never tried anything from this line, but I would absolutely love to! Everything looks amazing! I’ve never tried anything from Nubian Heritage before! I like how this collection has a wide range of products, including a deodorant! I am most excited about the Body Soufflé and Body Cleansing Smoothie. They sound so moisturizing! I have been itching to try Nubian Heritage products for some time now, but I am especially tempted by the body souffle moisturizer. It sounds dreamy. I have never tried or even heard of this brand, but am excited to know there is another cruelty free brand out there to try. No I have not but would love to try. I’ve used their African black soap before but never anything else from them! never tried nubian heritage before, but the hair products are on my list. p.s. LOVE CFK!!! 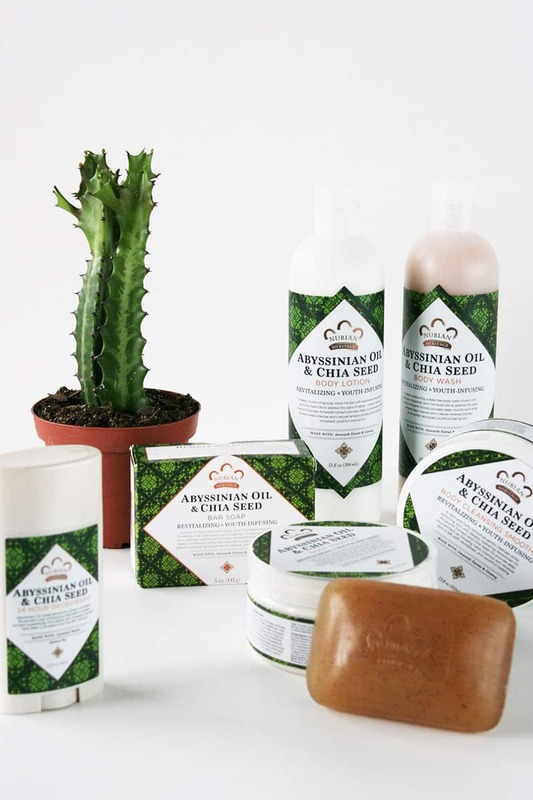 I’ve never tried Nubian Heritage products before but I would like to! They seems so great! I haven’t tried any Nubian Heritage products. I started this past year to make the change to ALL cruelty-free products and “Cruelty-Free Kitty” has been very helpful in making this change. I have even started contemplating creating a website myself to promote and sell cruelty-free products. :). I have never tried any “Nubian Heritage” products, but you better believe I am excited to try it! I have pretty sensitive skin and I think the deodorant might be my first purchase since I have not found a cruelty-free one yet that keeps me dry. Thanks for all you provide on your wonderful site, Suzi! 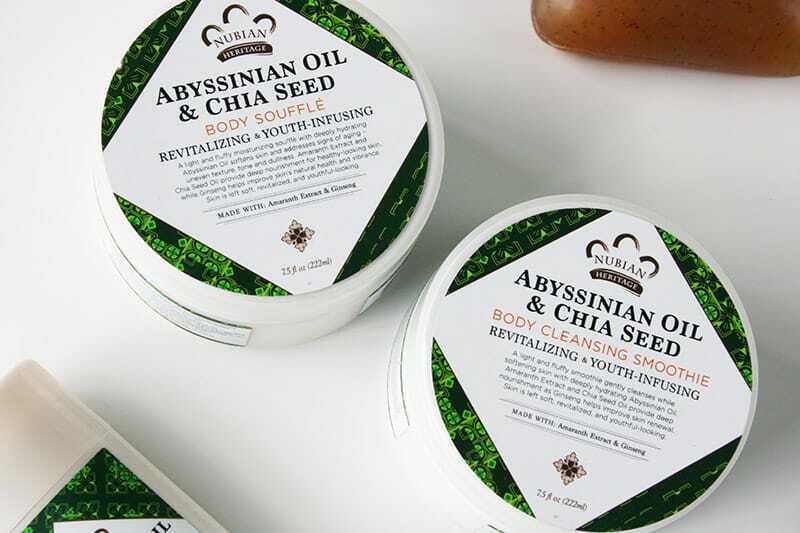 I would love to try the Nubian Heritage Abyssinian Oil & Chia Seed Collection! The moisturizing qualities sound amazing and it being cruelty-free is important to me. I’ve used their hand lotion before and I loved it! 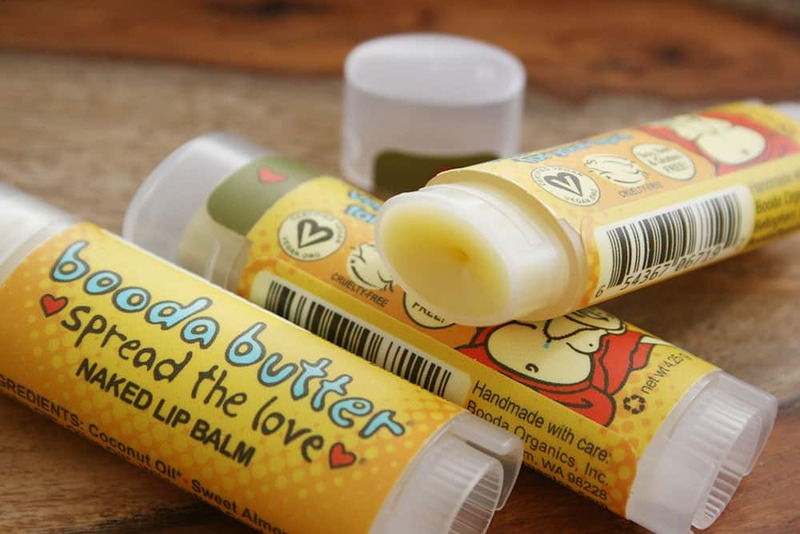 It deeply moisturized without being greasy or too thick. I have never tried Nubian Heritage before but I would love to!! I’m totally for cruelty free products and have only been purchasing such products. I am an animal lover and can’t stand the thought of how they are treated by us humans. CRUELTY FREE IS THE ONLY WAY TO GO!!! Good morning Cruelty Free Kitty! I have yet to try Nubian Heritage. I have been vegetarian for some time and recently made the decision to become vegan so I have not had too much exposure to cruelty free brands. This would be an amazing start for me! To be honest I haven’t heard of it before, but after looking though this I’m interested. Sounds wonderful for my skin. wow! their packaging looks spectacular!! I have yet to try any of Nubian Heritage’s products yet but been eagerly wanting to see what all the hype is!! =) I bet they all also smell incredible too!! I”ve never tried any of the Nubia Heritage products before, but I’d really like to try them out! I only use cruelty free products but I have never heard of Nubian Heritage! I really want to try their deodorant.